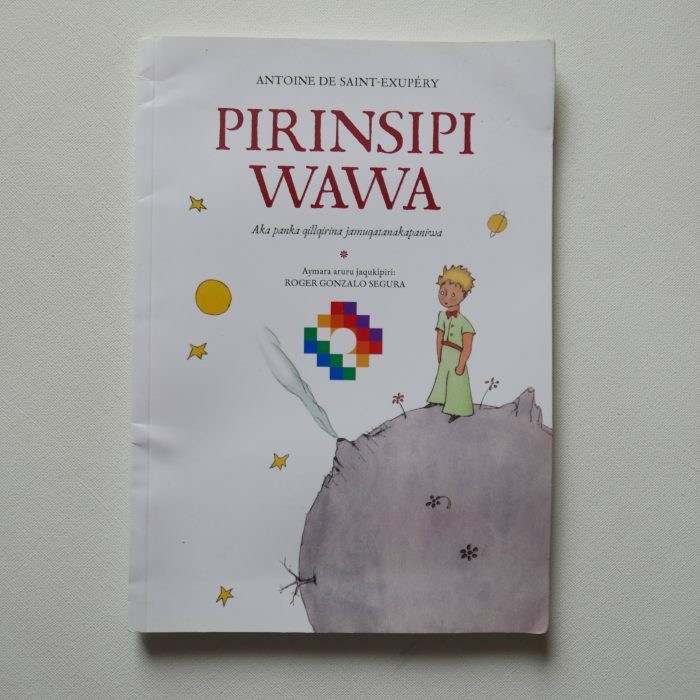 Pirinsipi Wawa, in Aymaran language. Aymaran language is spoken by the Aymara people of the Andes. It is one of only a handful of Native American languages with over three and a half million speakers. Aymara, along with Quechua and Spanish, is an official language of Bolivia. It is also spoken around the Lake Titicaca region of southern Peru and, to a much lesser extent, by some communities in northern Chile and in Northwest Argentina.